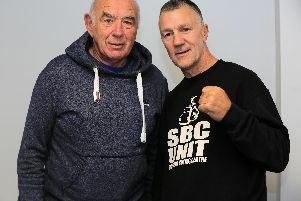 Sheffield's former welterweight world champion wanted Khan opposite him by the end of the year, a possible swan song to his glittering Ingle gym career. But Khan continues to be difficult to tie down, despite his promotional tie-in with Eddie Hearn. “Khan looks like it might happen in February now,” Hearn told IFLTV. That means Brook will have to alter the focus of his trainíng camp, or change direction and hope Hearn can deliver another big fight. The Dore warrior has no interest in tick-overs, he just wants major-league opponents, he'd fancy his chances against any of the light middleweight title holders, Jarrett Hurd, Jermell Charlo or Jaime Munguia. Meanwhile, Sheffield fighter Kyle Yousaf is closing in on his first title. 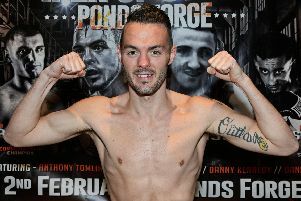 He competes for the vacant English Flyweight title against Derbyshire's Conar Blackshaw at Barnsley Metrodome on Friday. Yousaf is a stylish boxer with 13 straight wins under his belt. It is scheduled to be the first 10-rounder for either men. Lightweight Terri Harper 3 0 0 v Bec Connolly 1 2 0. However at Lightweight, an injury to Atif Shafiq means his match with Andy Townend is off.